Color photographs of very high quality and presented in large sizes. Many vehicles not usually photographed and featured in other publications are captured here. If you are seeking very detailed information, this book was not designed for you. The purpose of this book is similar to an encyclopedia in that the information is fairly basic or general in nature. The accuracy of the information provided by the author is very good. 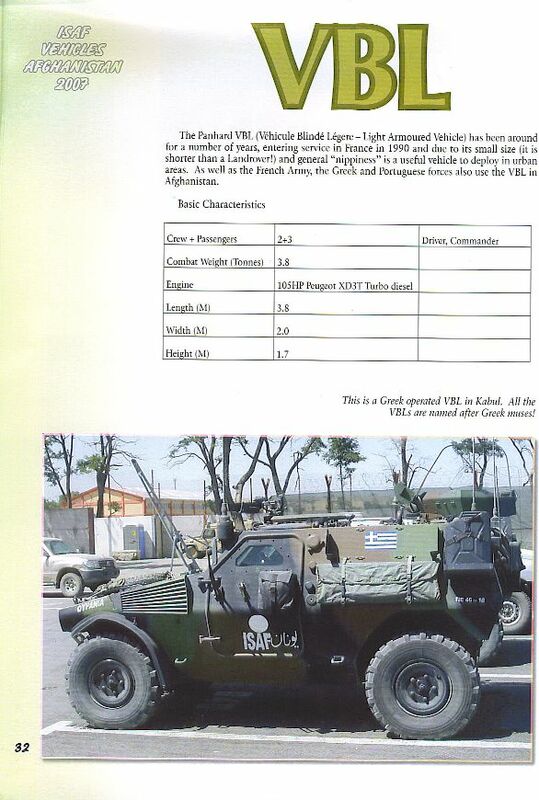 When compared to my personal references on the ISAF in general, and on the individual vehicles in specific, Mr. Taylor’s book is very accurate. I did not identify any wrong or misleading information contained in this book. Also, being that the author is a British Army officer who served in the area/theater covered, there is absolutely no reason for me to believe the information is inaccurate. Thusly I don’t think I missed any significant errors either. The selection of photographs provided by the author is excellent in quantity and variation as well. Most (if not all) of the photographs the author provides are from his personal collection, so they are not available anywhere else but in this book. 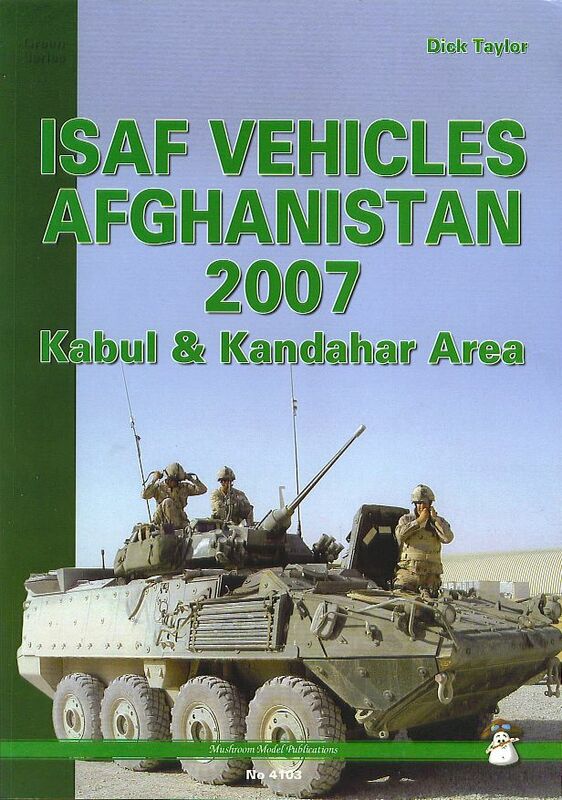 The photographs cover many of the combat vehicles in the Kabul and Kandahar areas of Afghanistan. To be sure not all vehicles are covered, but he does a very admirable job of covering most vehicles nonetheless. 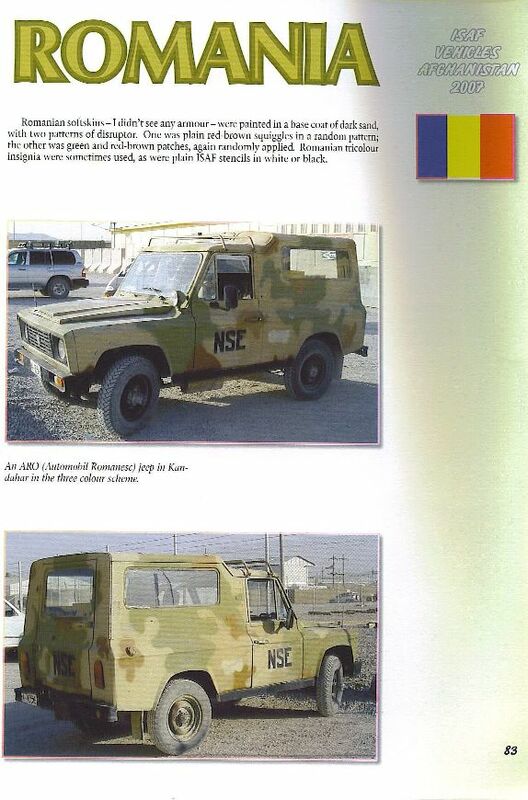 Although 41 color illustrations are provided, you should know that probably 90% or so are only color renditions of ISAF country flags. Only a small handful of illustrations are provided of other types of markings. This might sound like a knock on his book, however it is not. Since the photographs provided are of such good quality and quantity, very few illustrations were needed to supplement the book’s photos. 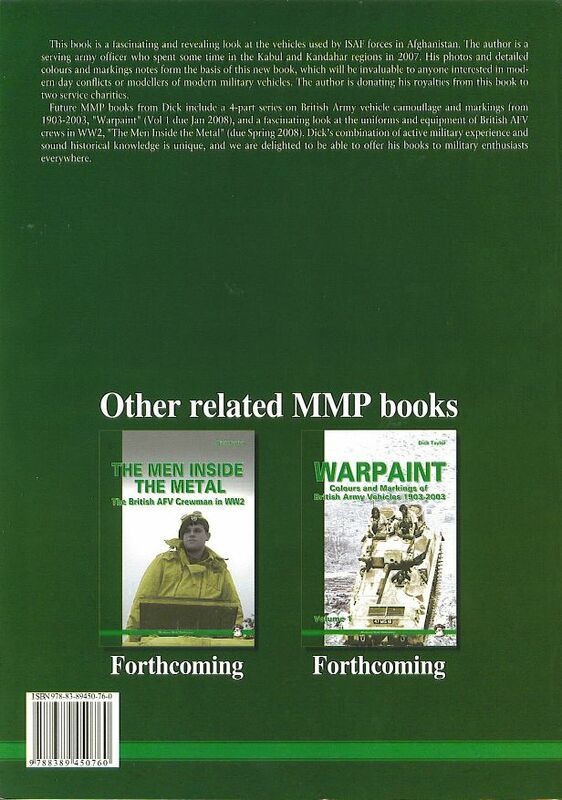 Thanks to Mushroom Model Publications and IPMS/USA for giving me the opportunity to review this book.